Dental implants are an excellent replacement for missing teeth lost due to gum disease or injury. 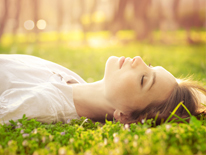 Sedation allows you to relax comfortably during your appointment and get the care you need! 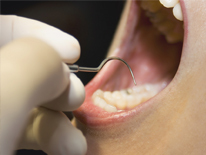 Gum disease is a silent disease that can lead to tooth loss and systemic health complications. Welcome to the website of Dr. Neda Azadivatan! If you are looking for information about top quality periodontics treatment in Clifton Park, NY, you have come to the right place. This website is full of information on all of the different treatments and services we offer regarding dental care for adults. As a leading periodontist, Dr. Azadivatan is dedicated to offering the highest quality dental care for adults. This means keeping up with all the latest state-of-the-art developments in dental technology. Dr. Azadivatan is highly trained and certified to offer such ground breaking treatments as dental implants the Laser Assisted New Attachment Procedure (LANAP®). Dental implants are widely seen as the highest standard of care in the treatment of tooth loss in adults. While more traditional alternatives such as dentures or fixed bridges can result in further complications, dental implants both look and behave like natural teeth. Because they are able to match the root structure of a natural tooth, will not slip out of place and cause embarrassment. Additionally, their titanium composition makes them resistant to decay. 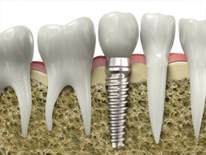 Dental implants are the most long term and sustainable treatment for tooth loss in adults. 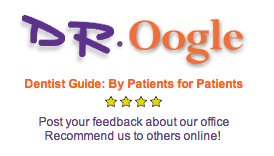 LANAP® is the only form of laser gum surgery that has been cleared by the FDA. Because it uses a laser, rather than a blade, to remove diseased tissue, there is less pain and less bleeding involved. 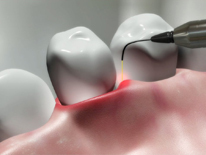 Patients will also experience less gum recession because only the diseased tissue is removed. There is typically no need for pain medication following the laser gum surgery procedure, allowing you return to your daily routine as soon as you leave the office. It is our goal to provide the highest quality dental care for adults possible. When you visit our facility, we will do our best to make you feel comfortable and at home. If you have any questions or concerns regarding periodontics treatment in Clifton Park, NY, please do not hesitate to contact the offices of Dr. Azadivatan!